Web design security consultant defense contractor business | Joomla website development for a global security company based in Ruckersville, VA continues to generate online customer leads and support the existing customers. 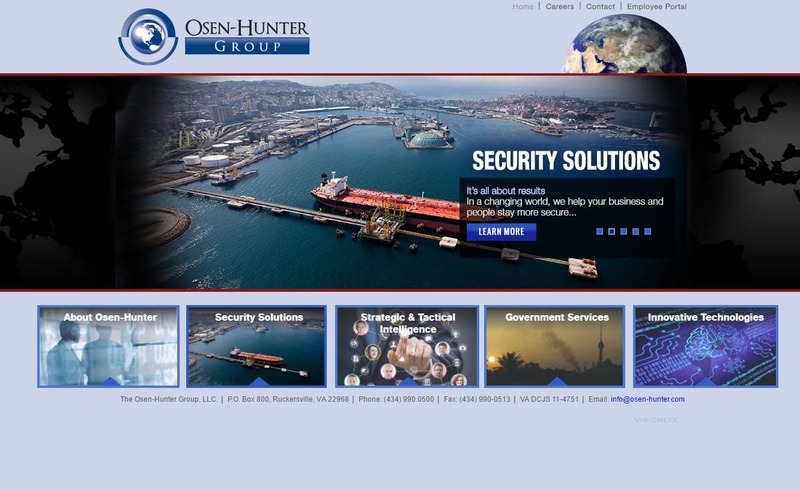 This is the 2nd web redesign for Osen Hunter since becoming a VISIONEFX client many years ago. VISIONEFX provides Web design for security consultants and companies.When searching Web design Virginia businesses look no further than VISIONEFX for all of your website needs.